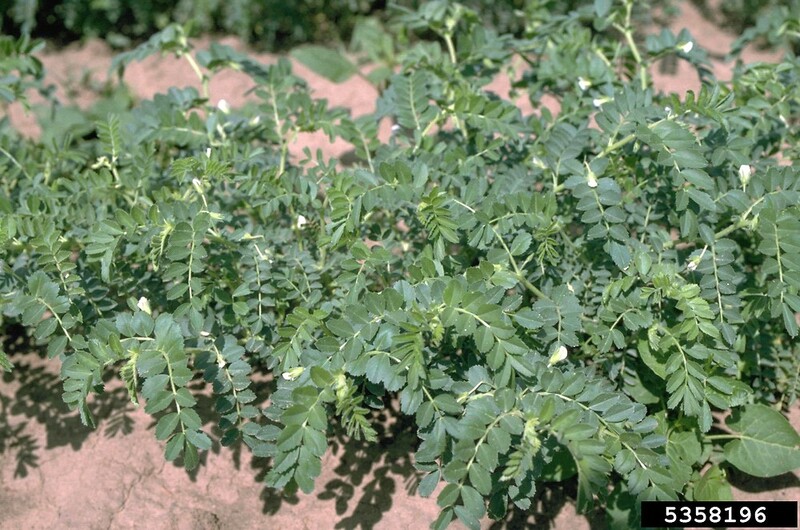 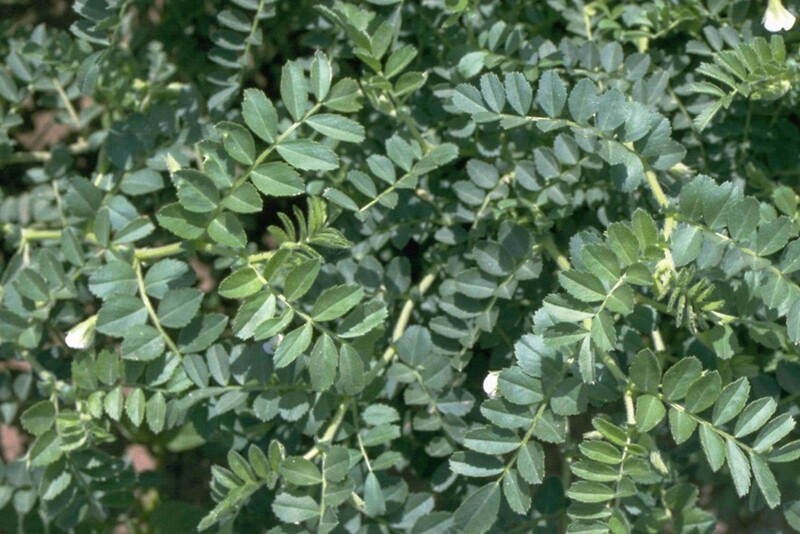 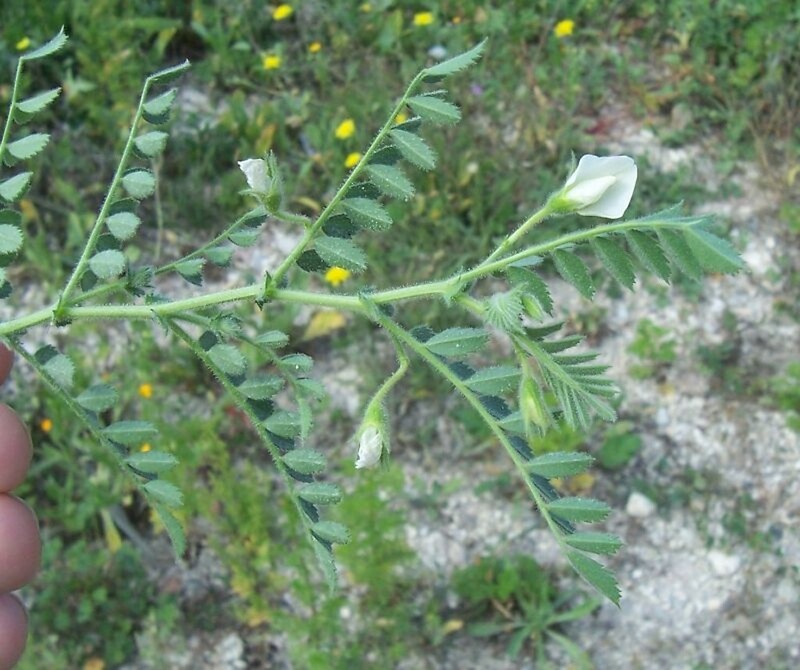 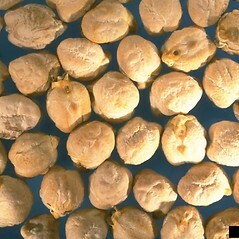 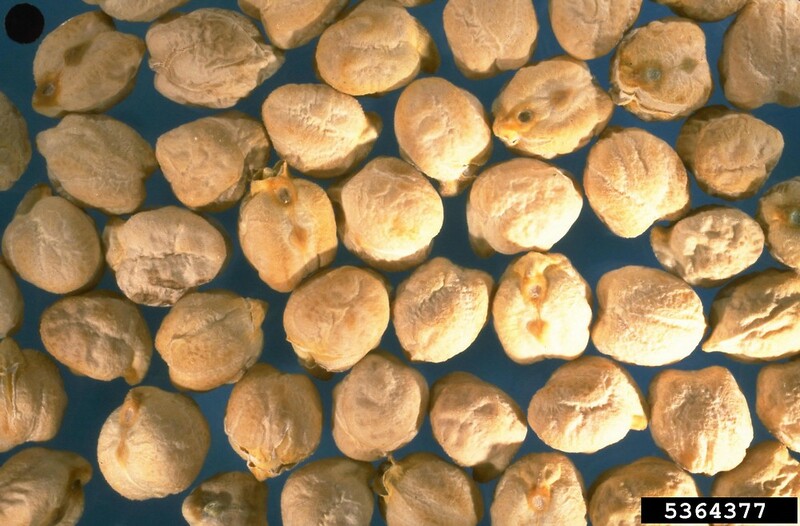 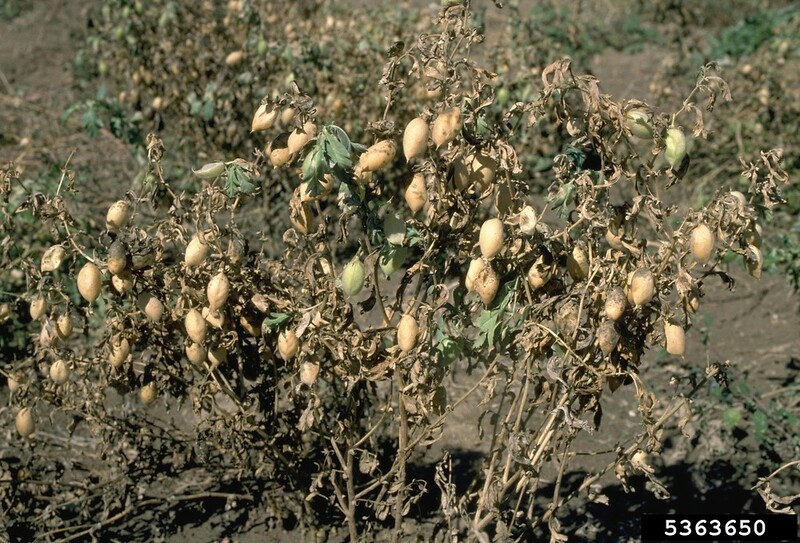 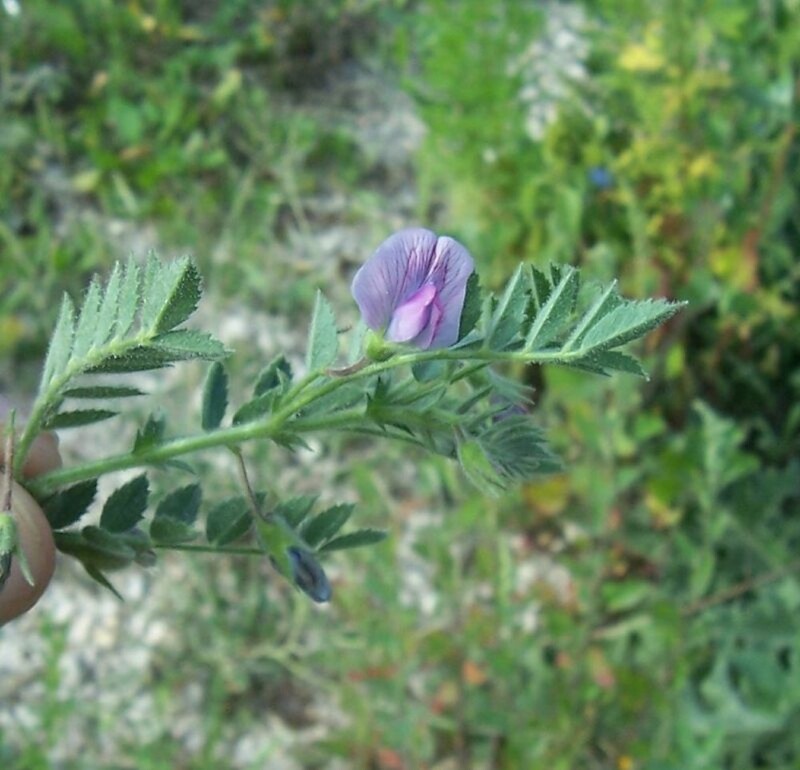 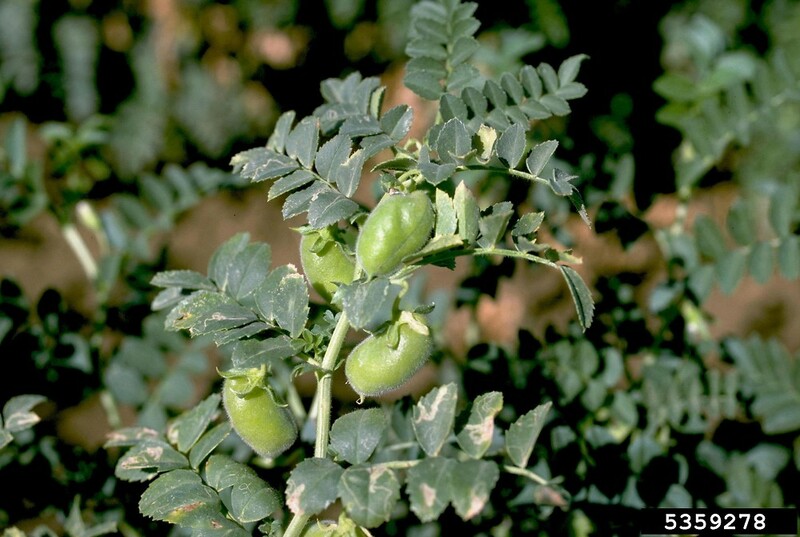 Cultivated for at least 10,000 years, chick-pea remains an important staple food in the Middle East, Africa and India, among other places. 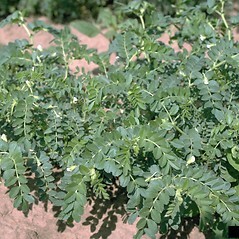 With scattered occurrences recorded in North America, it occasionally escapes cultivation in New England, either as a result of commercial or home vegetable-garden production. 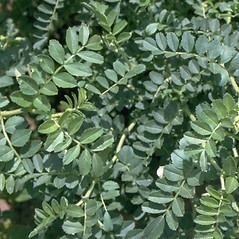 Several cultivars have been developed. 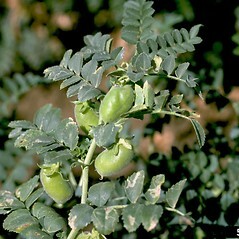 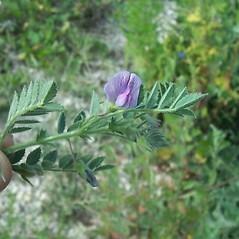 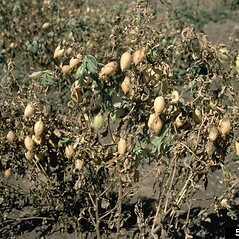 chick-pea. 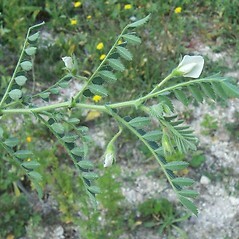 CT, MA, NH, VT. Fields, dumps, waste areas.